Where is your school located? Do you have multiple campuses? When is your next course start date? These may be questions you already have the answers to from the school’s promotional materials. If their website does not provide you with all of these details, make sure you take the opportunity at the show to ask them. How will I be taught (lecture style, hands-on, online modules, etc)? What student services do you offer (support, necessary accommodation, etc)? Asking these questions will help you determine whether specific programs are actually for you. Think about what style of learner you are, and prioritize asking questions about programs that will give you an idea of whether you would be successful in the class. Whether it’s a fun gift they’re giving away or just a brochure or business card, make sure you leave the booth with something that has the school details on it, as well as the email and name of the person you were talking with. If you are very interested in a program, you’ll want to send a follow-up email to the school representative. This will help you begin the process of enrolling in the school, and give you an advocate to help you through that process. Visit the Skilled Trades Academy at CMPX 2018 skilled trades show, located at booth 1223. 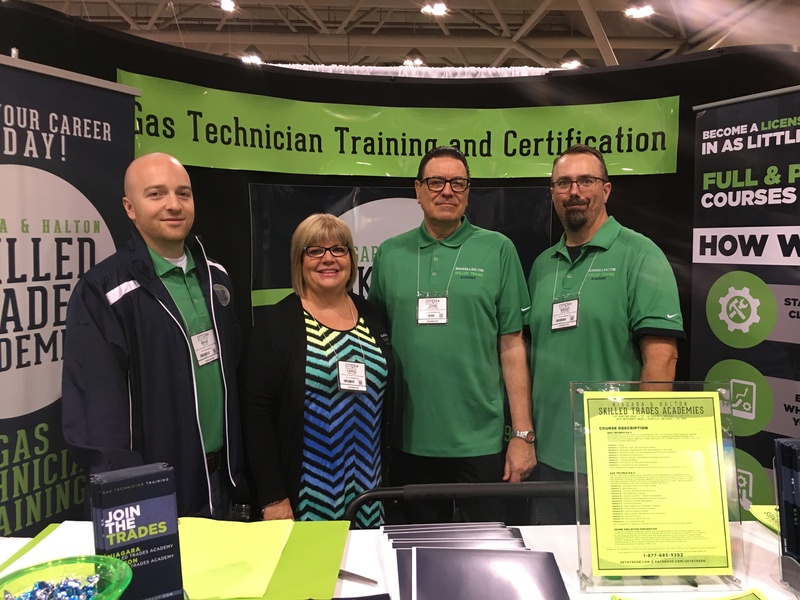 We’ll be answering any questions about the value of skilled trades and Ontario Gas Technician training, and why the Skilled Trades Academy is the right choice for your training. We hope to see you there!